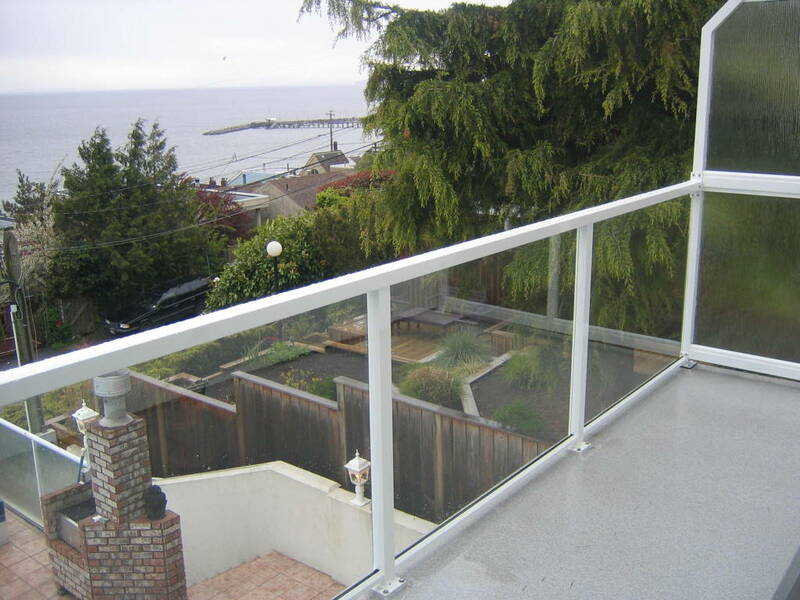 White Rock – To begin with, we constructed a new deck and then installed vinyl membrane for a 100% waterproofed finish product. 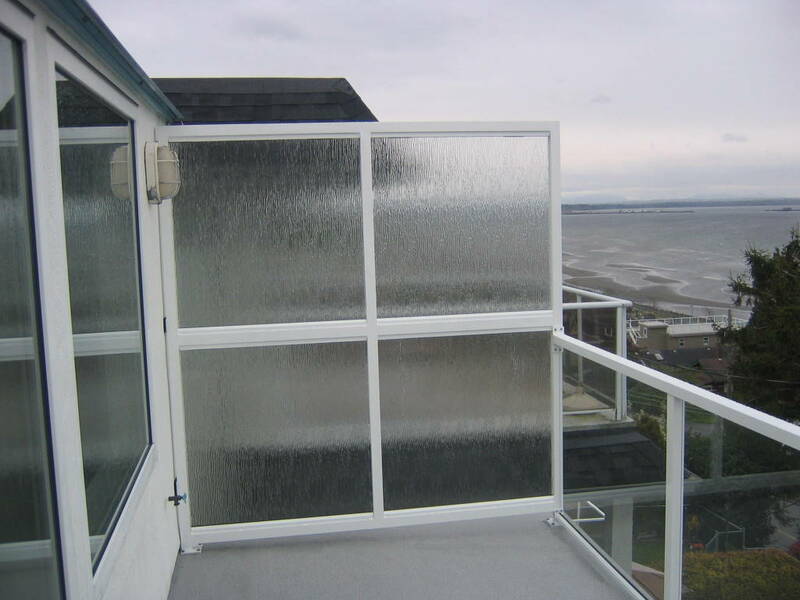 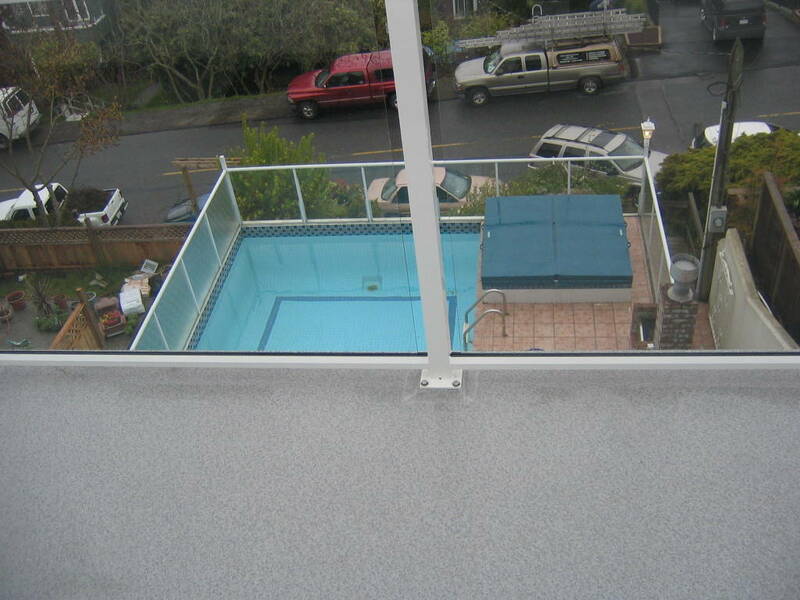 We then installed this glass railing system in order to get the full impact of the ocean view and swimming pool below. 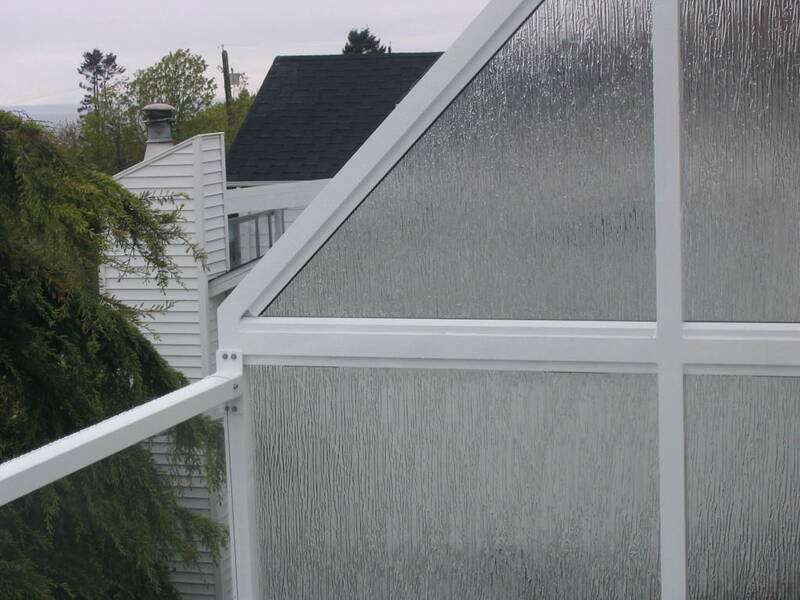 This project also required privacy glass panels which we installed using a 2 ½” aluminum frame bolted solidly into the deck and house. 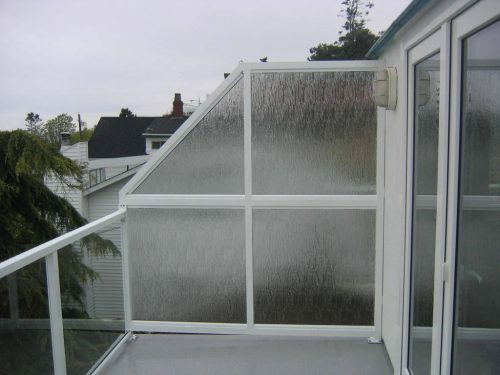 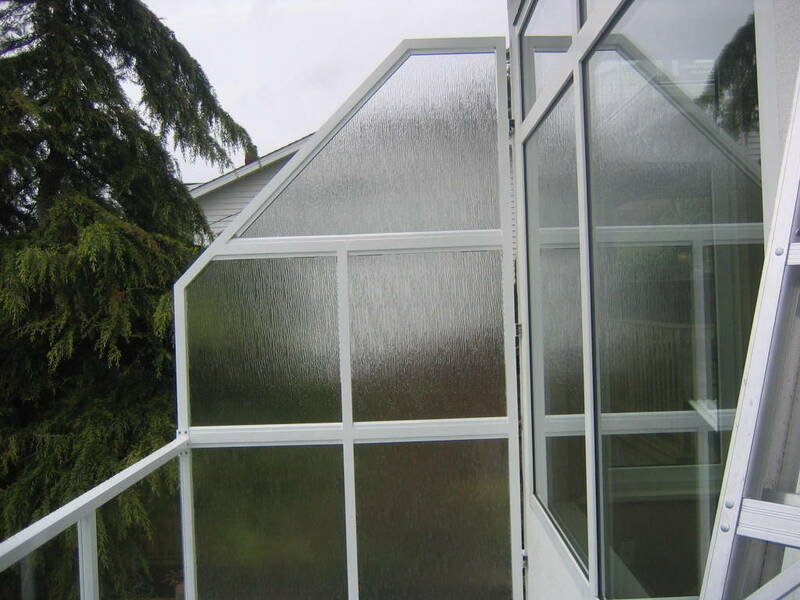 The privacy panels, while doing its job, still allowed a large amount of light to come in and are very low maintenance.